So happy to report that I am fit and ready to climb. I leave tomorrow for two climbs in the Cascades - Rainier and Hood. Hopefully, I get up both in single-day pushes. It should be a good test of my fitness and acclimatization. If nothing else, I will get in some good mountain time. In the kitchen this morning enjoying my pot o' tea. Note the bags under my eyes? Early mornings are killers. I still owe you two more posts on my gear. One is almost done and ready to post before too long - expect it in a day or so. The other will come right before I push off for Mendoza, Argentina. I have pictures and explanations of all my gear so it should be reasonably informative and, perhaps, enlightening for some. I am done training for now until I return from Argentina in mid-January. My fitness is excellent and I have plenty of energy left in the tank to climb fast and strong. The past few weeks were really challenging for both training and work; hence, my silence on the blog. Too many long days and really early (4am) mornings reduced my time to write my blog. On the positive side, I did manage to get out 3 papers with my students and colleagues in the past month. Hopefully they get published while I am away climbing. Speaking of training, I managed to keep my weight up. I awoke this morning at a robust 172 lbs. (78 kg) but a few pounds shy of my goal weight of 175. Oh well. I ate and ate but seem to shed weight quickly during the high altitude days of training. Finally, my family is getting geared up for the climb. I did a gear sort for my wife and son. They are all set with their climbing gear for Argentina. I have some time to add/subtract gear before I take off in early December but I wanted to make sure they had all the essentials packed in time for me to get any last-second items. They are all set! We are ready. Patrick (son) is now acclimatized to 10,000 feet (3,050 m) and should be up to 19,000 feet (5,800 m) before he and my wife take off in mid-December. That dude is a beast! He quickly adapted to each hypoxic level in one day - advancing from 5K feet to 10K feet in less than a week with spO2 levels all above 90%. Not bad. I suspect he will fare well on the hill. Kathy, meanwhile, is up to 16,500 feet (5,030 m) already and will progress to at least 22,000 feet (6,700m) before departing. The reason we have a disparity between the two stems from my son's swim season. We all wanted him to qualify for some top meets and acclimatizing in the middle of his season might have adversely affected his performance. Don't know if this is true but we moved forward with caution. Now, we throw caution to the wind! Thanks for posting this article. The way I read it is first-come, first-served. Those who delay in their return (with the same expedition) forfeit their permit fees. I see this is a ploy for them to cash in again on the climbers – nothing new for a corrupt government. Climbers who cannot or do not put Everest as their number one priority pay a steep fee. ‘Tis a shame it has come to this extreme stance but I can’t say I was surprised. I thought the situation sorted out too nicely to actually be believable. Perhaps the Tibet side offers us a more welcoming approach with fewer problems? I remain unsure but resolute to try the Nepal side if they honor my 2014 permit. After posting the comment, I started feeling some pangs of doubt. Are the Nepal Ministry and Tourism officials monitoring our discussions? Would their monitoring affect our permit eligibility for next year? Fortunately, I poured myself a glass of wine and relaxed. Sure, they may be reading our posts and noting who is naughty or nice. I tend to discount that effort. Instead, I think there is more than meets the eye for these political decisions. Here are some thoughts and conjectures. 1. The Nepali government is desperate for climber revenue. They do not want 2015 to fill up with non-paying climbers for the year and decrease their ever-so-important revenue stream. By putting limitations on the climbers and expedition leaders, they assure themselves of some climbers forfeiting their permit fees. How many will forfeit their fees remains to be determined but it seems likely that a large portion of the 300+ fees will go unclaimed given the extreme restrictions. 2. The expedition leaders and Nepali organizers lose income if climbers come back and demand refunds for unused services. Many of us doubt the intentions of most expedition services - not to point fingers but they seem to have dug themselves into a nice trench while waiting for the Nepali government to fire the first shot. Well, that shot appears to be fired and the expedition leaders are in a unique spot to invoke Russian style negotiation tactics (i.e., we are powerless to make these decisions and are held to the ruling by the Nepali government). What a perfect defense! I don't blame these expedition leaders; quite the contrary. They exist to help climbers and they can only exist if they either turn a profit or remain solvent. If we place the burden on these folks to bear the costs of last year's debacle then we climbers might find fewer expedition options in the following years. Still, if they end up profiting from the 2014 events then they are subject to well-deserved criticism. 3. The expedition leaders benefit from the decree. So the Nepali government laid out the terms and the terms appear as if they favor the expedition leaders bottom line. We climbers must reassemble with the same climbers from the same expedition and climb with the same company. Convenient for the expedition leaders? I should say so. We have no choice but to return with our original teammates and original leaders. Those climbers who cannot pony up the funds for 2015 lose their permit fees by fiat. Shame it has come to this point. Climbing these big peaks became a huge money-making show and climbers are expected to pay...pay...pay until it hurts. The climbers who saved up in 2014 must hurt a bit to retain their investment. Thankfully, I scrimped and saved for 2015 so I intend to go back but I feel for those who cannot afford the return. 4. Climbers who wish to climb must jump aboard right away. I wonder if the Nepali government employed some economists to forecast the return rate. My suspicion is that a small proportion will return with many opting to skip Nepal by climbing Everest via Tibet. The Chinese would welcome the extra income - perhaps not from Americans (NB: we were excluded from permits for 2014 without much feedback as to why). As I noted in my comment to Alan, the first-come, first-served rush will affect the expedition teams in some way. How? Not sure yet but I plan on keeping a keen eye on the team dynamics. Some people may feel pressed into service - both financially and physically - and that pressure may lead to some serious problems on the hill. All of these points lead me to question why the heck I am pressing forward with my objective. I guess I am crazy - seems like a reasonable explanation at this point. Thanks for following my weekly ramblings. Next post: more gear! Greetings. I am sitting down in my kitchen this morning typing away on this blog post with a horrible sinus headache (update: I began this post on the 6th and finished it on the 8th and my headache is gone!!!). The darn sinus infection returned with a vengeance! Mendoza (2,450 ft or 750m) and Trek to BC (14,300 feet or 4,360m): Flip-flops (OluKai Ohana - 8 oz./pair - are my current favorites) tend to treat me the best for approach shoes. My feet hate closed-toed shoes. I have odd shaped feet that were designed for a bare footin' life but mountaineering requires foot covering to protect them from the elements. Many of you may recall that I used my trusty flip-flops as my sole approach shoes on the trek to Everest base camp. 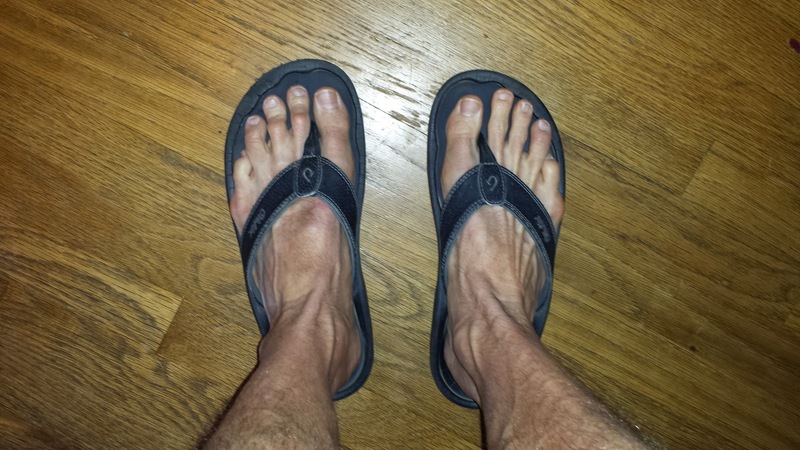 Unfortunately, I had an incident at the latest Annapolis Boat Show where I took my Everest approach flip-flops off, placed them by the rest of the footwear people ditched before boarding the boat, and then returned to a nicer looking pair (see photo above). Apparently some clueless soul took my nasty flip-flops that I intended to retire that week and left me with his (assuming it was a guy with size US 11 mens feet) almost new and barely broken in flops. Needless to say, I was a bit bummed to lose my trusted friends but accepted the gift without much fuss. 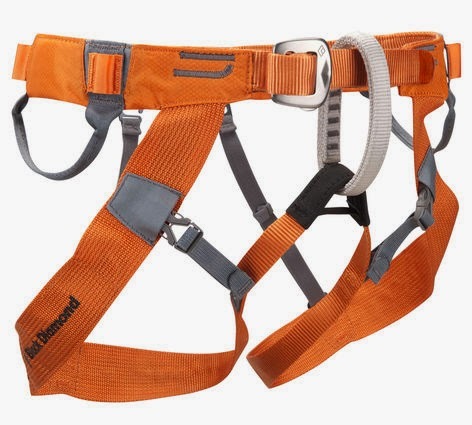 only has two non-reinforced gear loops BUT it has a belay loop (the greyish/whitish web loop on the front) that makes for tying into the rope team much easier. My replacement is much lighter (by 6 oz.) 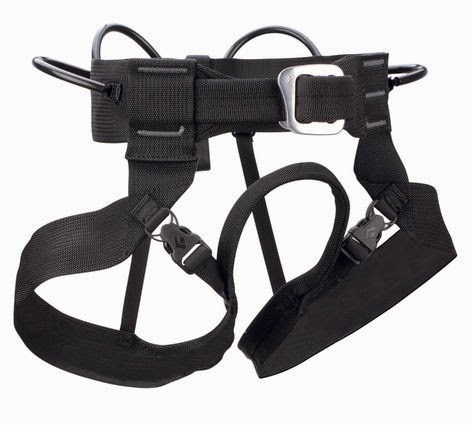 but the weight savings comes at the costs of fewer gear loops and a little less comfort in the leg loops. These weight savings and slight costs in functionality easily offset one another. 4. Protection (generally not required for normal route but required for Polish Glacier): I intend to bring two pickets (2 x 24" with runners and non-locking 'biners - 20 oz. total for each setup for 40 oz. total), five ice screws (3 x 13 cm - 4.7 oz. each - and 2 x 22 cm - 5.9 oz. each), and one 30m x 8mm double-dry climbing rope (45 oz.). These forms of protection allow me to climb the glacier with some protection, however, I do not intend to climb with a running belay; instead, I just want to have the protection necessary to complete some of the tough parts of the climb. These pieces give me more than enough and probably too much protection. I do intend to whittle the gear down on the mountain but the extra gear should not weigh me down too much on the approach. Rather, it should not weigh down the mules. Once in BC, I will sort my gear and only take the required gear higher. and crampons. I intend to take both as usual because the ice axe allows me a form of protection to self-arrest should I fall. 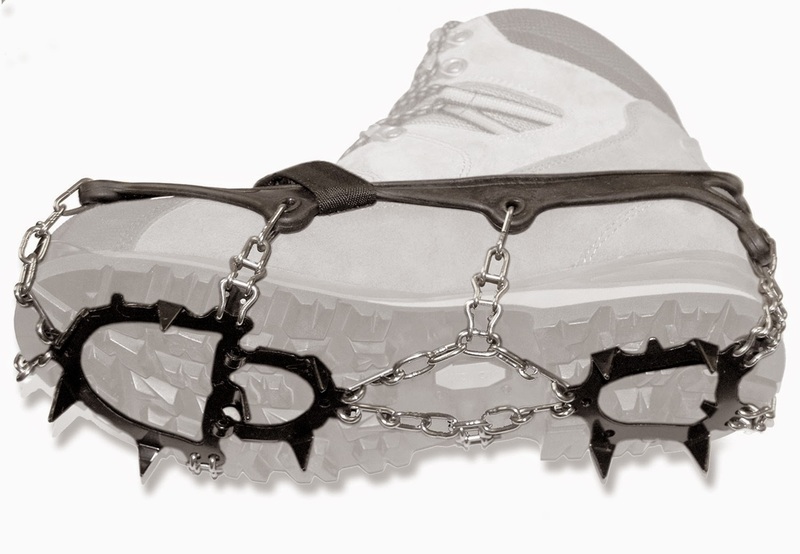 Crampons provide better traction than the typical Vibram sole of a mountaineering boot. Thus, I will bring these two things. The actual model and style matter little to me. 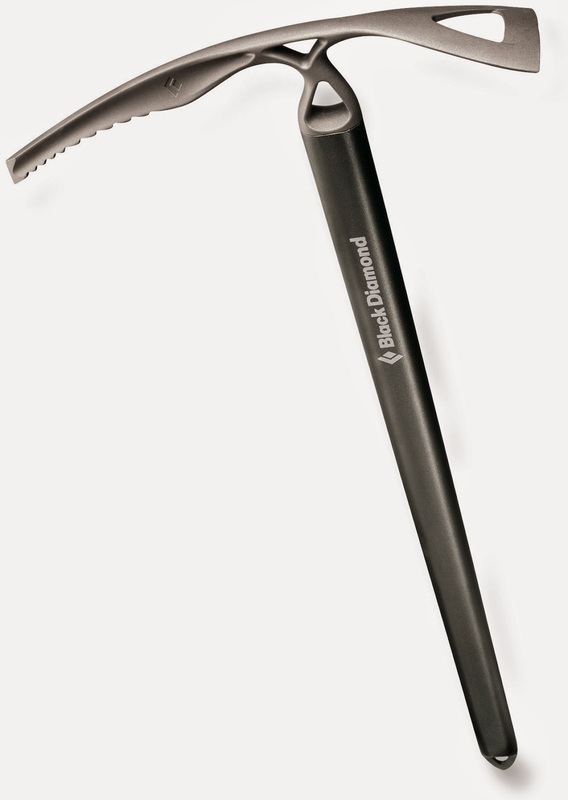 I have many ice axes - some standard straight handle mountaineering models and other ice axes. The latter might be overkill but I do intend to bring my Vipers (i.e., ice axes; 45 oz. for both) for the Polish glacier just in case it is an ice climb rather than a steep snow ascent. I will probably bring my BD Raven Pro (11 oz.) because it is light and shorter than my Raven (16 oz.). 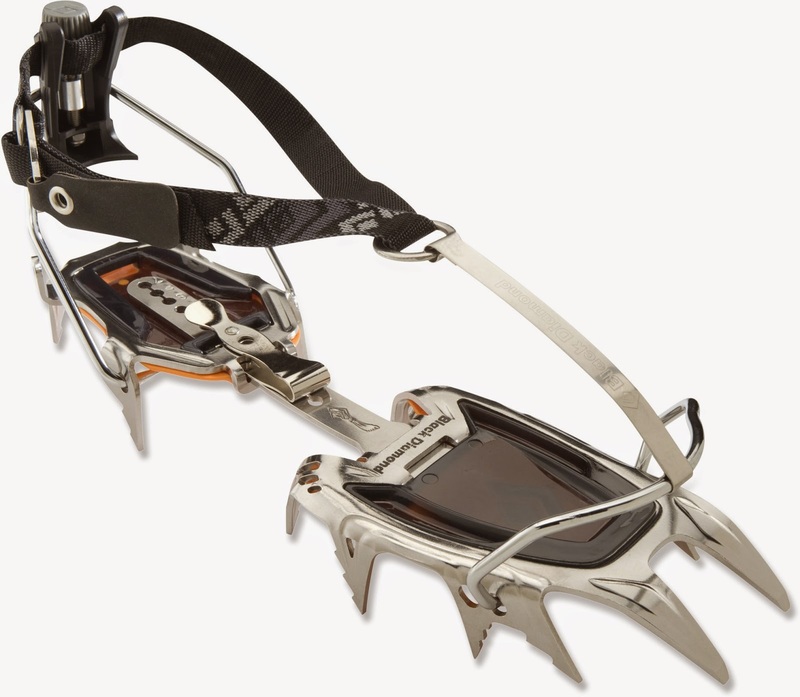 The crampons I use are the Black Diamond Sabretooth Pro (34 oz. 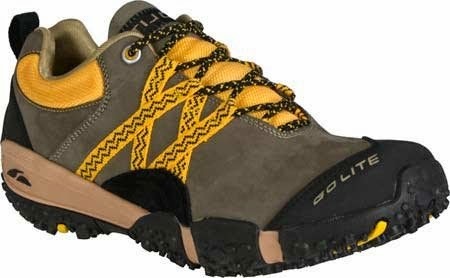 per pair) step ins; they work and stay relatively sharp even after climbing mixed terrain. One problem I encountered while doing some day climbs in Nepal is that my approach shoes are not really well-suited for icy areas. I was thinking about throwing in a pair of the hiking studs or trail crampons that fit all shoes. 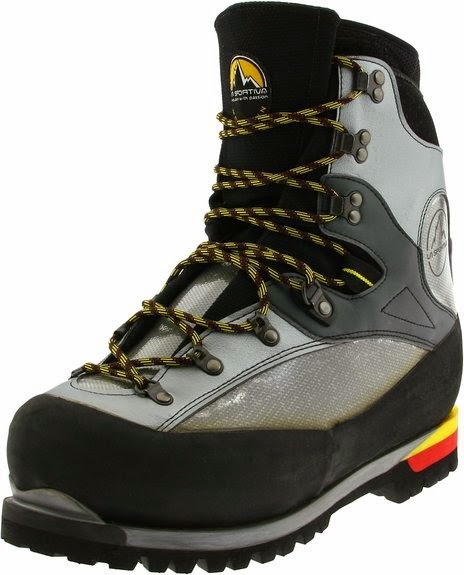 Below is a picture of one kind of stretch on trail crampon from REI. Many varieties are pretty cheap and they tend to fall apart easily. I do not intend to spend more than about $30 on a pair so if you have any suggestions, I am all ears (or eyes). These stretch-on spikes (shown to the right; 15.7 oz. from REI) are light and can easily be packed away for quick retrieval and saves me from changing footwear constantly. Doubt they would work well with my flip-flops. Perhaps I should give it a go at home before trying them out. Lastly, I intend to bring my helmet (BD Half Dome; 12 oz.). 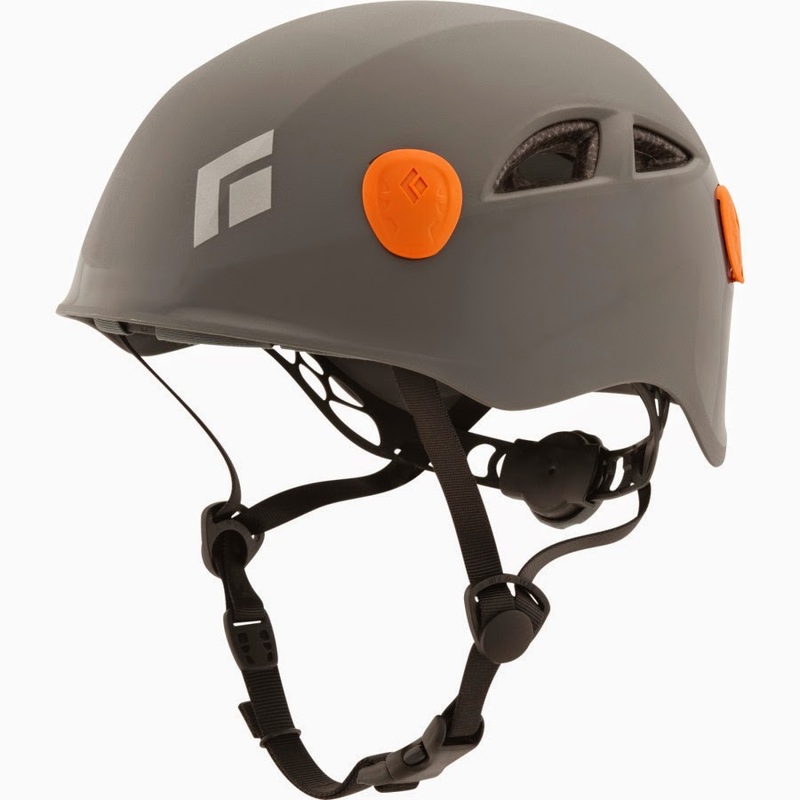 There are many instances where a helmet is overkill but the potential for rock slides on Aconcagua and my long-term investment in my brain gets me to live a bit on the cautious side. On the plus side, my helmet weighs practically nothing and fits into the top of my pack to protect anything directly beneath it (like my brain). Thus, there is little downside to packing it for most trips. So nothing fancy for this equipment list. I use what I trust and what fits my weird body. Everything I take on a climb has been used by me many times and I can take on/off without looking - a good plan for any gear used on adventures. How much does all this gear weigh? Good question. I never really accounted for it until now so here is the grand total for all the gear listed above: 357.6 oz. or 22.35 lbs (10.1 kg)!!!!! Perhaps time to shed some weight here. The normal route only requires 193.7 oz. or 12.1 lbs. (5.5 kg). Adding in the Polish direct to my climbing objectives increases my load by 10 lbs (4.6 kg). Sheesh! I might need to rethink my objectives if weight is a concern. In a little over a month, I take off for Argentina and I wanted to post about my gear sort. My Rainier trip is so short that I intend to take the bare minimum so there is no need to post much about that trip preparation. Aconcagua, however, requires a bit more gear and there are some complications in our plans so I decided I would lay out what I intend to bring. Here goes...the non-essentials first. 1. 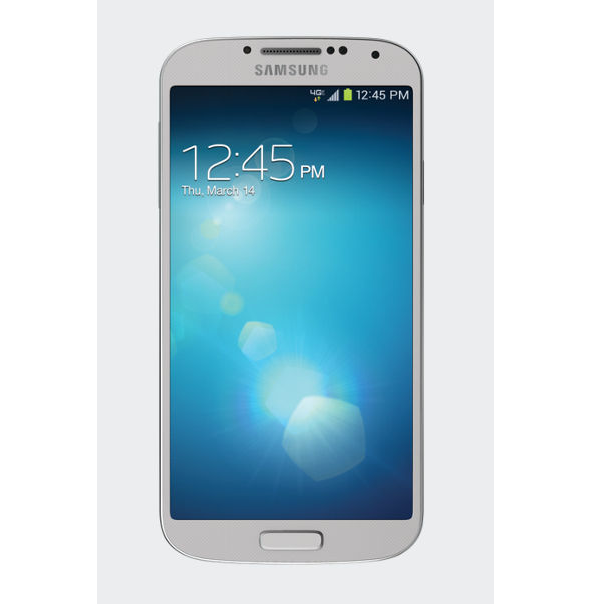 Communications: I spoke with Verizon and they assured me I could bring my Samsung Galaxy S4 (4.6 oz.) to Argentina, pop in a local sim card, and have full data and cell service (3G at least) for local prices. They also offered their international plan for a mere US$3.99/min calling where I would be fortunate enough to keep my current number. Needless to say, I declined their generous offer. So, I intend to go with my cell phone and my Spot locator (4 oz.) to send off updates with locations posted directly to the blog automagically. You'll be able to follow us up the hill so be on the lookout for posts from Aconcagua. Total weight: 8.6 oz. 2. 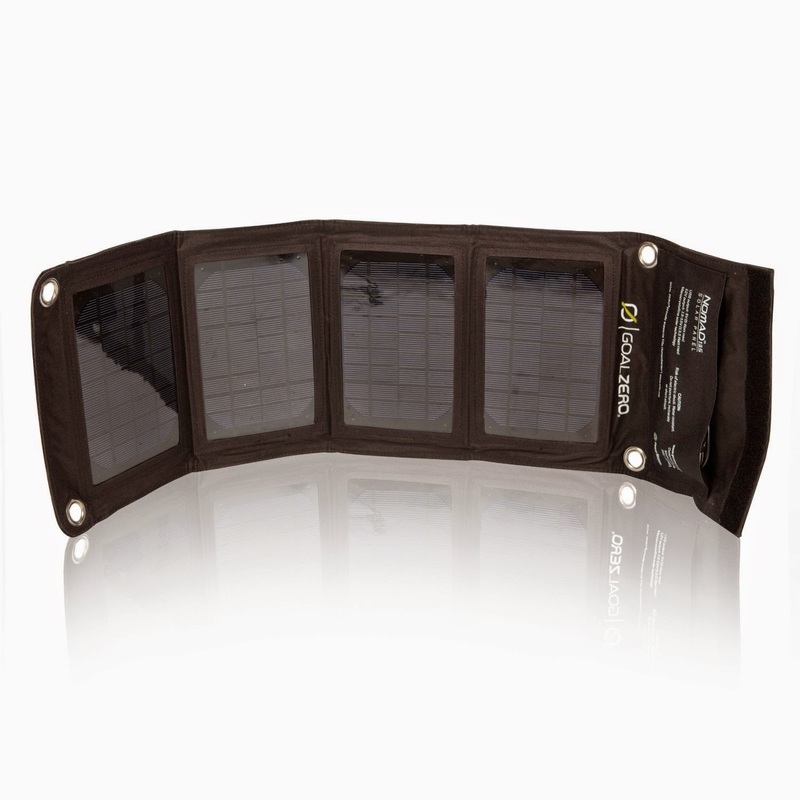 Power: My phone, spot locator, camera, tunes, headlamp and Kindle require power so I need to either bring a ton of batteries or generate power from the sun and store it to some battery. The latter is the best option for mountaineering; thus, I intend to bring my solar panel (Goal Zero 14 W) and goal zero sherpa 50 (total weight: 34 oz). I also bring about 12 AAA batteries (Lithium Ion: 3.3 oz. 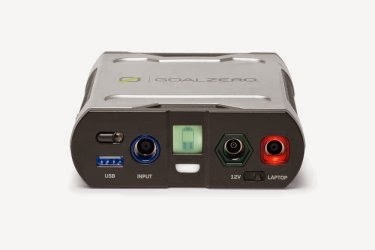 for 12) for my headlamp because a ton of night climbing drains those batteries quickly. My headlamp requires 3 AAA so I get 4 total battery changes with 12 AAA batteries. Total weight: 37.3 oz. Christmas present? Perhaps next year. 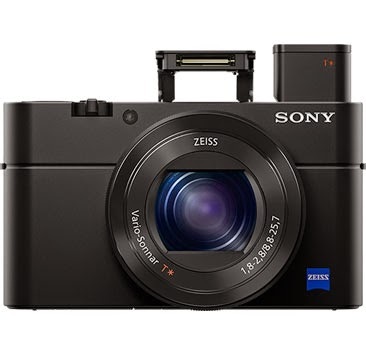 Any thoughts from those out there that know anything (i.e., anything = substantially more than I know) about cameras? Total weight: 0 oz. 4. Tunes: Music is key to sanity in the hills. 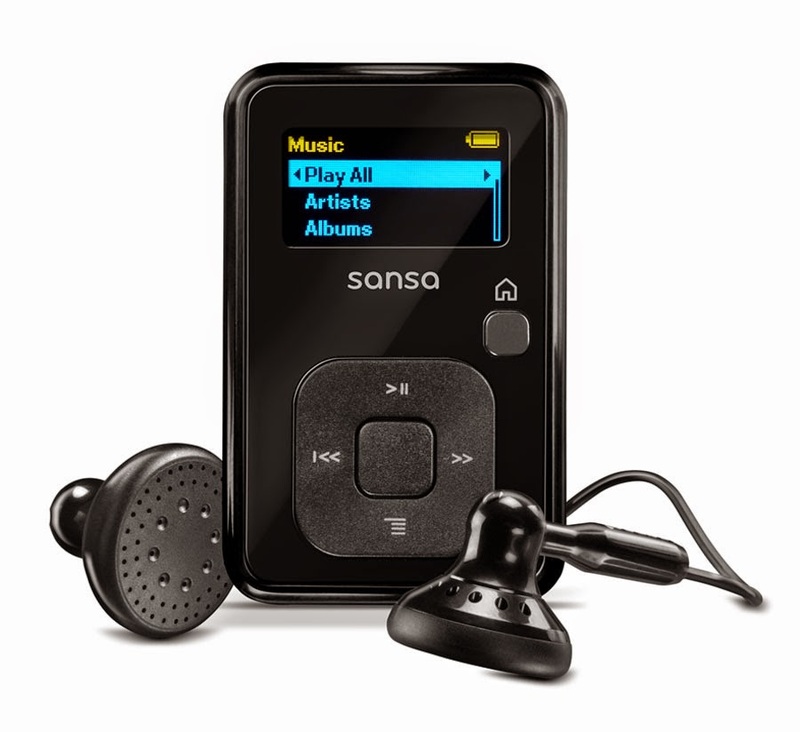 I always take two Sandisk Sansa Clip+ 4 GB players and two pairs of cheap headphones. The Sansa Clip weighs nothing (0.8 oz. including headphones) and by bringing two, I can always have one charging and the other ready to play. Additionally, these players are inexpensive (US$35) and take a microSD card (32 GB) so I can fill 'em up with music that easily lasts an entire expedition. Cheap headphones weigh next to nothing but bringing additional ones eases the pain of my headphones failing for some odd reason - a reason that always happens on the mountain. Total weight: 1.6 oz. 5. Reading: I love my Kindle (2nd Edition circa 2009) but I think I might trade up to a newer, nicer one. Every night, I crawl into bed and read for a few hours. Reading makes those long nights speed by and when we get trapped in the tent for days on end to wait out weather fronts, I enjoy every one of my 50 or so books that I downloaded onto my kindle. Plus, I even get to read my usual magazines (e.g., The Atlantic, New Yorker, Science Times, etc.) because I download them before I leave the airport for the wilderness. My 2nd generation Kindle endured many adventures. It simply works and lasts for weeks on end without recharging. Unfortunately, the old Kindle requires a case for a reading light or I end up using my headlamp batteries that need replacing about every 4 days. A newer, backlit Kindle lasts far longer on a single charge, weighs a fraction of what my current Kindle weighs (6 oz. 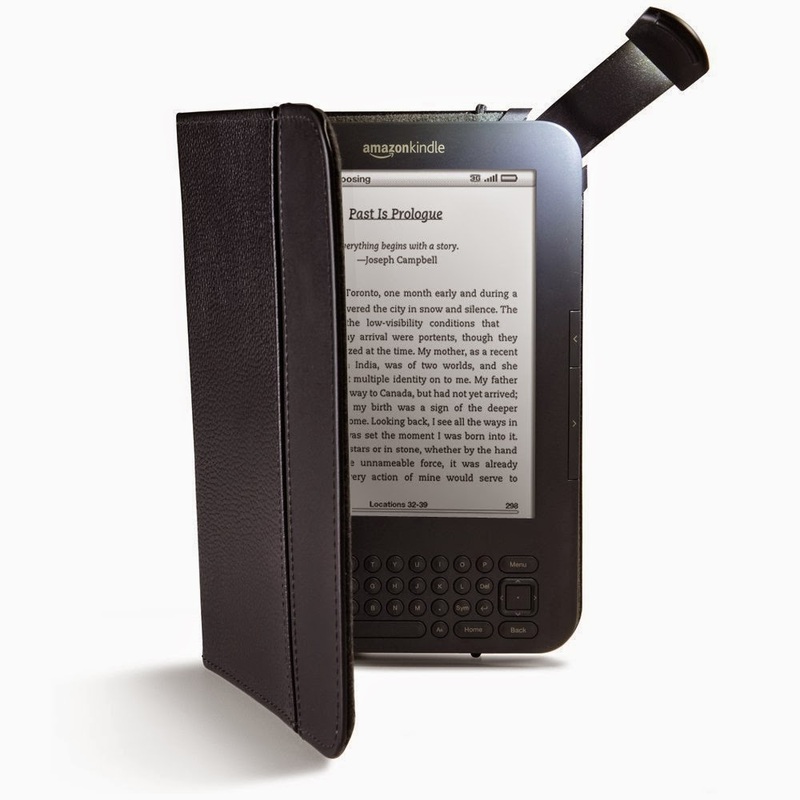 due to the case requirements for my current Kindle), and stores more books. Additionally, the newer Kindle seems to have more features compared to my old tired pal. Maybe I will consider getting a newer one but the cost needs to be considered with respect to the weight savings. Total weight (2nd Edition with leather case): 19.6 oz. 6. Internet (in civilization): I bring my Nexus 7 (10.6 oz.) 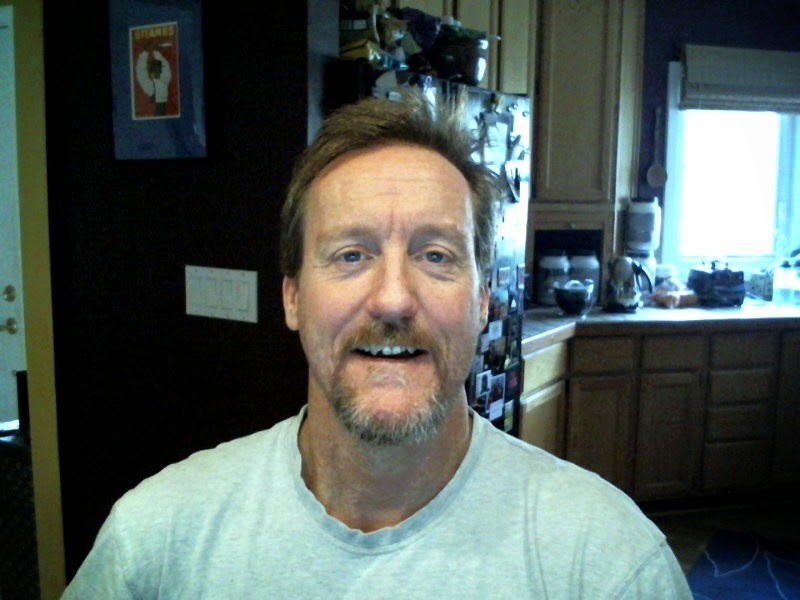 with me so I can write, read, check email, and surf the web for any climbing/local information. The Nexus 7 is great for all of these activities and can last for a few days on a single charge. Rarely do I bring it with me on the mountain but I did have it with me on Everest last year. I might bring it with me to Mendoza but it will remain in my bag for the few weeks I am in the mountains. Sheesh! Time to start shedding some weight for these non-essentials. 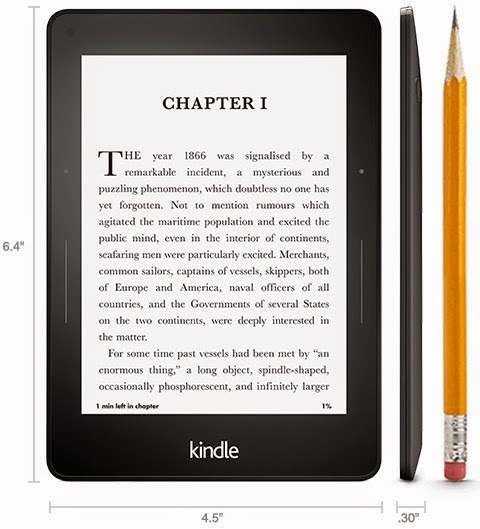 A new Kindle (US$79) would help me lose almost a full pound. Perhaps a good bang for my buck. Next post (Part 2) covers my climbing gear (essential). 1. My hypoxic units are working better than I expected. I calibrated the settings on each unit when I started this round of training but apparently - much to my surprise - the calibration seems to change over time. Here (below) is my calibration from July 2014 where I changed the setting on the unit (in .5 increments) and recorded the oxygen percent with my handy dandy oxygen sensor. I put on the high altitude adapter and open the valve to "max out" the flow - thus giving me the full effect of the adapter. Each incremental change on the unit's interface should result in a decrease in oxygen percent. The figure above shows that decrease rather clearly. When I recalibrated the unit, I discovered the oxygen percentages change substantially - perhaps by as much as full percentage point. What does this change mean? Well, a full percentage point change means that when I thought I was working out at 11.2% (16,250 feet or 4950m), I was actually training at 10.2% (18,750 feet or 5715m). That difference may not seem like much but it represents a huge difference in cardio-pulmonary functioning and efficiency. I don't have a calibration curve yet for my latest values but I will update this post once I enter them and plot them in google docs. 2. I overlooked my training objective when reporting the previous results. Something seemed odd that I would decrease my intensity and my spO2 would remain low but then I went back over my training log entries and noted that I intentionally increased my normoxia training intensity. That increase in intensity when I was not using the hypoxic unit lead me to deliberately decrease my training intensity on my simulated climbs. Instead of pushing hard on the simulated climb, I tried to keep my spO2 at or above 80% - perhaps an unrealistic goal for real climbs but I wanted to recover from the training rather than tire myself out for weeks on end. 3. Higher intensity workouts before my simulated climbs appear to jump start my aerobic metabolism better than jumping right into the climb. Like a good detective, I started back to my first simulated climbs to see what I was doing before and during those climbs that helped me maintain relatively high spO2 values for each incremental gain in altitude. The one glaring difference between my current workouts and previous workouts was the positioning of more intense activity before the simulated climbs. I would run to swim practice at a nice, tempo pace and then swim for 1.5 hours at a high intensity (for a good portion of that time) and then run home after eating donuts with my swim mates. Those workouts really primed my pump for the lower intensity simulated climbs. Since late September, I was not swimming on Saturday mornings for some reason or another and opted to run more toward the beginning of the week and save my legs for the simulated climb. Thus, I would jump into my simulated climbs right away with just a brief set of warm-up exercises. Perhaps those warm-ups are not enough for me. I noted that for me to swim well in my typical endurance events, I needed at least 2000 yards of warm-up and some higher intensity swims to get me going. Warming up might be more important for me compared to others and the changes in my warm-up routine may affect my reaction to hypoxia. I guess I need to test this question out in the upcoming weeks.